Re: What kind of the causes that? do you know if there is a bug on efx70_wf4.dll for x86_win64? Becauso i have one machine running WinXP 32bits and I can run EFX. But on my machine running Win7 64bits i got my Creo freezing at startup. I´m using Creo Parametric 1.0 M010. In Creo Parametric 1.0 M010 - OK!!! EFX is enable on config.pro. I can start the software normaly with EFX disabled. !Creo TM 1.0 (c) 2011 by Parametric Technology Corporation All Rights Reserved. !%CIWelcome to Creo Parametric Education Edition 1.0. 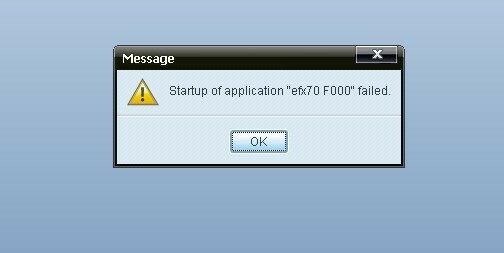 !SL50: INSTALLPATH "C:\Program Files\PTC\Creo 1.0\Common Files\M010\efx"
And thats the image that freezes when I start Creo with EFX enable. Anyway thx, I´ll try support/reseler or try with Win7 32bits.